Do a little work. Support the theatre. The ETC Entourage, Ensemble Theatre Cincinnati’s volunteer organization, is now accepting applications for volunteers, including ushers, for our 2012-2013 season. If you are interested in becoming a volunteer for the 2012-2013 season, please complete the 2012-2013 Volunteer Application and either email to volunteer@ensemblecincinnati.org, fax to (513) 562-4104 or bring it to an upcoming volunteer orientation. There are over 200 Entourage members and we are always looking for new volunteers to donate their time and talents. As a volunteer, you will enjoy the privileges of being a part of our exciting theatrical family and making new friends. Although we accept new volunteers throughout the season, ushering is very popular and space is limited, so we encourage you to express your interest as soon as possible so that we can best accommodate your schedule. There are many other ways to become more involved with our staff, crew, and actors and we welcome the opportunity for you to join us behind the scenes. Members of the Entourage may also assist with publicity and outreach programs, perform administrative tasks, provide meals during technical rehearsals, help transport visiting actors, in addition to the opportunity to usher at shows. For additional information, or if you have any questions, please visit the Volunteer section of our website, or call our Volunteer Coordinator at (513) 421-3555 x14. The Groundlings program was developed to provide 10th- to 12th-grade students the opportunity to learn performance techniques from professional actors while studying Shakespeare and his texts. This 20-week acting-intensive program includes acting method training, text analysis, and instruction in voice and movement. The students are mentored by Artistic Associates Jeremy Dubin and Sara Clark. Instruction takes place at CSC’s theatre on Race Street as the group prepares for a final performance at the conclusion of the class in April. Space is limited, so participants are encouraged to register soon. If this is your first year in Groundlings, you will need to audition for the program. Even if you have attended Groundlings JR or Summer Camp in the past YOU MUST AUDITION. Auditions will be held on Sunday August 19. More details are included during registration. After you register, your official time will be emailed to you. Student should prepare a 1 minute Shakespeare monologue (memorization optional). Please note: Having a few conflicts should not prohibit your student from participating! Registration for the 2012-2013 year is now open! Click here to fill out and submit your registration for Groundlings online! How much does it cost & how do I pay? The entire school year of 20 sessions (10 per semester) is $725. You may divide your payments into two payments of $362.50/per semester, although a full-year commitment from the student is required. Instructions on how to pay are provided during the online registration process. You may pay online, by mail or over the phone. Based on our popular high school ensemble, Groundlings, Groundlings Jr was developed to provide 7th- to 9th-grade students with the chance to learn about the world of theatre from professional actors. 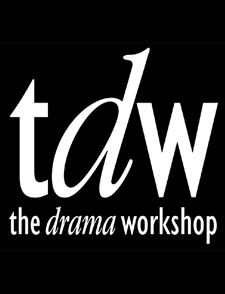 This 10-week program includes acting, text analysis, and instruction in voice and movement. There is a Fall and Spring session available each year. Students are encouraged to participate in one or both! The 2011-2012 session will be taught by Resident Ensemble Member and Education Associate Miranda McGee. Instruction takes place at CSC’s theatre on Race Street. Space is limited, so participants are encouraged to register as soon as possible! If this is your first year in Groundlings Jr., you will need to audition for the program. Even if you have attended Summer Camp in the past YOU MUST AUDITION. Auditions will be held on Sunday August 19. More details are included during registration. After you register, your official time will be emailed to you. Student should prepare a 1 minute Shakespeare monologue (memorization optional). Registration for the 2012 Fall section is now open! Click here to fill out and submit your registration for Groundlings JR online! You may also call and register over the phone 513.381.2273 x. 3202. Each semester of 10 sessions costs $295. Instructions on how to pay are provided during the online registration process. You may pay online, by mail or over the phone. Please don’t hesistate to email miranda.mcgee@cincyshakes.com with questions. Please note: a completed registration form AND paymnet must be made to hold your spot in Groundlings and/or Groundlings Jr.
First time film producer/writer Douglas Palmer of Big Papa Film Productions will audition actors and extras for his feature length film THE LAST BATTLE on Saturday, August 4, 2012, 9:30 a.m. to 1:00 p.m., at the downtown Cincinnati public library (South building, third floor). The library is located on Vine Street, between Eighth and Ninth Streets. Some roles have already been cast. Actors of all ages and ethnicities are welcome to audition. The only “specific” looks are for the two actors who will play the young children (a boy and a girl) of the main character. They must look caucasian, appear to be between the ages of 11 and 13 and resemble (in some way) the petite, slightly-built blond actress who plays their mother and/or the 6-foot tall, sturdily-built, dark-haired actor who plays their father. 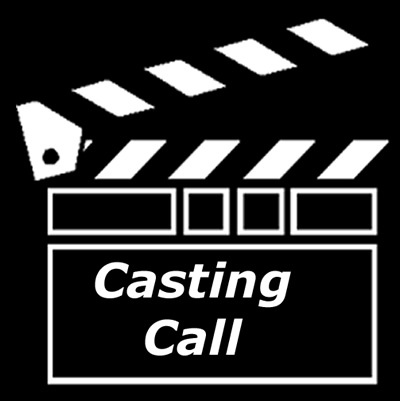 Please bring a headshot or a recent portrait photograph and an acting resume, if applicable. Actors will read from “sides”. “Sides” will not be available in advance. No prepared monologues are necessary. Actors and extras in this film will be unpaid. They will receive film credit for their roles and will receive DVD copies of the finished film. Some scenes in this story about a retired marine are expected to be filmed in the Greater Cincinnati area during the September-December 2012 period. If you have questions about this audition, please call Doug Palmer’s assistant, Sheila Baker, at 513.607.1940. The Drama Workshop is having further auditions for the characters of Linus and Snoopy in SNOOPY! THE MUSICAL on Saturday, August 4 at 2pm at The Glenmore Playhouse. Please bring 16 to 32 bars of music in the fun, up-tempo style of the show and be prepared to move. The character of Snoopy must be a “song and dance man” as he has 4 major solos and many featured “bits” in the show. Linus has a major number revolving around the Pumpkin Patch and appears in many other numbers. While singing is important, much more of the casting revolves around the actor’s ability to portray the big iconic characters we know and love. Interested actors should contact Gretchen Gantner at GRoose1876@aol.com or 513.470.5516 for further info. Production dates are October 5 – 21, 2012. For tickets: (513) 421-3555 or purchase online here. All single tickets and dates for Ensemble Theatre Cincinnati’s exciting 2012-2013 season go on sale Monday, August 13 at 10:00 am, including the highly-anticipated season opener Good People, a 2011 Tony Award nominee for Best Play by Pulitzer Prize winning playwright David Lindsay-Abaire (Rabbit Hole). Guaranteed to be the hottest ticket in town, purchase early to ensure you don’t miss this, the return of Alice in Wonderland, along with the exciting sequel to The Marvelous Wonderettes as well as all of our other great titles this coming season. Decide which dates you want to purchase now by viewing a complete 2012-2013 performance calendar here. Educational programs are a vital part of our mission and we are thrilled to offer student matinee performances throughout the season, along with accompanying study guides and resources to assist teachers and students in delving deeper into a play’s themes and related curriculum. Click here for a list of 2012-2013 student matinee performances. Matinees sell quickly and are on a first-come, first-serve basis. Please contact our Education Department at (513) 421-3555 or via email at education@ensemblecincinnati.org for more information. Don’t get closed out of a show next season: Subscribe today to lock in your place for our 2012-2013 season. Save significantly over single ticket prices, plus enjoy exclusive benefits including unlimited exchanges free of charge and more! Call (513) 421-3555 to subscribe now. For full-time students, this new subscription includes a set seat and day of the week for each show in the season at a discounted price. Available for any performance day and time. Exclusively for students ages 13-19, this new subscription includes a set seat for each production in the season at a deeply discounted price, plus a meal following the performance and a post-show discussion with cast and/or artistic staff for students seeking to deepen their appreciation and understanding of live performance. Space is limited and on first-come, first-serve basis. Available for second Saturday matinee performances only. For more information or to purchase, please call our box office at (513) 421-3555.